The International Raoul Wallenberg Foundation claims for the closing of one of the most controversial and lasting human right’s cases since the end of World War II. Next 17 January is the 70th anniversary of the disappearance of the man who helped save the lives of thousands of persecuted people during the Holocaust. Heads of State of the main industrialized countries were addressed by the Wallenberg Foundation to create awareness about a cause that involves the fate of a man whose deeds are a moral example for all the people of good will around the world. “In 2013, during Barack Obama’s visit to Stockholm, Raoul Wallenberg’s sister, Nina Lagergren, and his sister-in-law, Matilda von Dardel, took the opportunity to hand over a personal letter asking Obama to raise the issue of Raoul’s fate with the Russian authorities. Knowing your unique sensitivity to both Wallenberg’s legacy and personal tragedy, we respectfully ask you to raise this issue with the Russian authorities, whether in your own meetings with President Vladimir Putin or in any other high-profile encounters between your government officials and Russian counterparts. Reads the letter presented to the US President. As part of the centennial celebrations, in 2012, President Obama became the first US President to make a video address devoted entirely to Raoul Wallenberg. In 2012 the Wallenberg Foundation instituted a US$ 500,000 reward for reliable and scientifically verifiable information that could help bring Wallenberg and his driver, Vilmos Langfelder, back to Sweden. 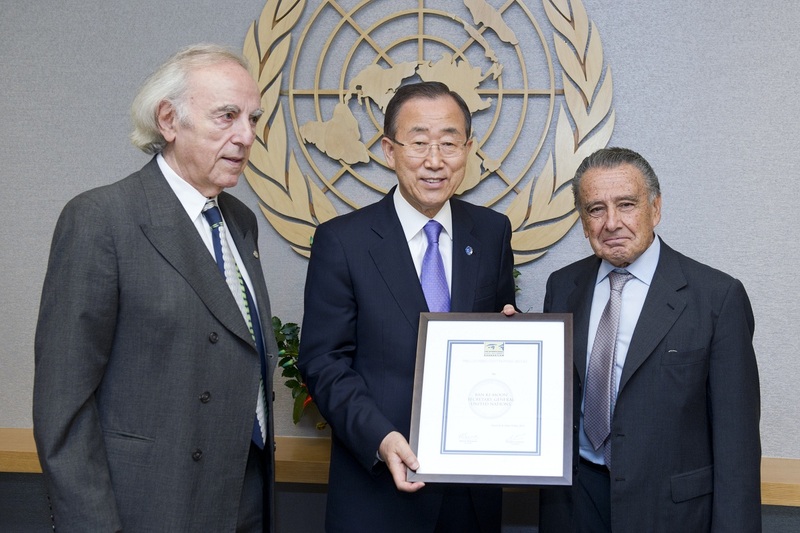 The announcement was first made on August 2012 to United Nations Secretary General, Ban Ki-moon. “We hope that this tragic mystery may be solved successfully in the near future”, close Eurnekian and Tenembaum.